When it is time for a break from work or school, Lake Garda holidays may be on your mind. If you are not going to stay in Lake Garda villas, then choosing the right hotel is an essential part of making the most of your Lake Garda holidays. Your hotel should be in a convenient location, feature the amenities that are important to you, and fit into your budget. It should also be a spotlessly clean, comfortable place for you to sleep and relax. The Lido International hotel offers the most comfortable accommodations and scenic beauty. Singles, couples, and families who want a relaxing hotel atmosphere will find it at Via T. Dal Molin, 63, 25015 Desenzano Del Garda. This hotel features a pool and a private beach, making your stay at the hotel a nice part of your holiday. There are four different room styles. Single, twin or double standard rooms, superior twin or double rooms, and triple rooms, make it easy to choose the size and style to meet your needs. Your young children can have free accommodations in your room. If your pet accompanies you on your trip, he is welcome to stay in your room with advance notice and a small extra charge. Free Wi-Fi is a special free feature you can enjoy at the Lido International hotel. If historic beauty with modern conveniences suits your tastes, you will love the Hotel Eden. Located at Piazza Carducci 17/18, in Old Town, 25019 Sirmione, it is lovely and elegant, yet without unnecessary distractions. With courteous room service, a breakfast buffet, a variety of shuttle services, and even babysitting, your Lake Garda vacation will be a true joy at Hotel Eden. The hotel has five room styles, with free accommodations for youngsters who are under three years of age. There are sizable discounts for older children. There is no charge if you wish to bring a pet. 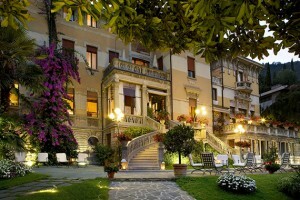 Hotel San Marco is one of the lower-priced hotels in the Lake Garda area. However, a lower rate does not mean cutting corners. Everything you may want for your Italian Lakes holidays is available at Via Lungolago Mazzini, 15, 37019 Peschiera del Garda. Single, twin, double, and triple rooms are available. You can have breakfast in your room, enjoy swimming in the hotel’s pool, dine in the lovely restaurant, and absorb the sun on the outdoor terrace. If luxury is the word that comes to mind when you are thinking about holidays Lake Garda has to offer, the Hotel Laurin will meet and exceed your expectations. Its location is Viale Landi, 9, 25087 Salo. The breathtaking views from the hotel are matched only by the excellence of the hotel itself. Hotel Laurin lacks nothing to make your holiday perfect. One of the area’s finest restaurants, a pool, bar, golf discounts, plenty of activities, and free Wi-Fi are only some of the many features you will enjoy during your stay. There is no charge for children who are less than twelve years of age. With six room styles, there is something for every vacationer. The hotel is ideal for family holidays, business trips, and honeymoons. The Hotel Savoy Palace is another luxury hotel. It offers standard, deluxe, superior, and prestige rooms. From the furnishings to the views, staying at the Hotel Savoy Palace will make your holiday unforgettable. It features conference halls, a wellness center, and special services for weddings. You can participate in a wide range of outdoor sports and activities, all near the hotel. This hotel is an architectural masterpiece, with an impressive sense of style. The menus you will find at the restaurant are equally impressive. 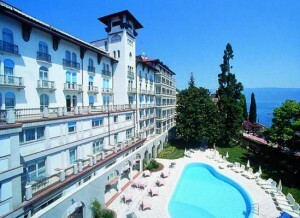 These are some of the best Lake Garda hotels available for Italian holidays. At least one will suit your preferences and your budget. Your holiday can be one to remember for the rest of your life. 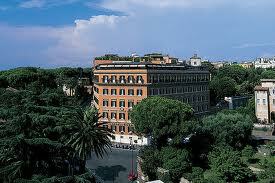 Hotel Stazione Centrale and Other Lodging in Milan! Top Rated and Best Bellaria Hotels! The ULTIMATE Tuscany Holidays Guide! Italian Men Fashion: Only the Best! The ULTIMATE Tuscany Vacation Guide! Top 4 Menaggio Hotels: Reviews and City Guide! Hotel Italia is a Good, Reliable Chain for the Risk-averse! A Guide to Madesimo Italy for Summer and Winter!